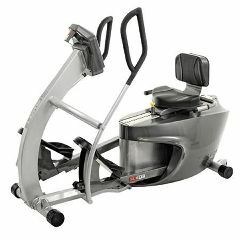 Our exclusive total body recumbent elliptical offers a smooth, natural movement that allows comfortable, effective exercise. REX's smooth motion provides a natural and consistent flexion and extension. REX's unique program options and bi-directional resistance provide an exceptional total body workout.